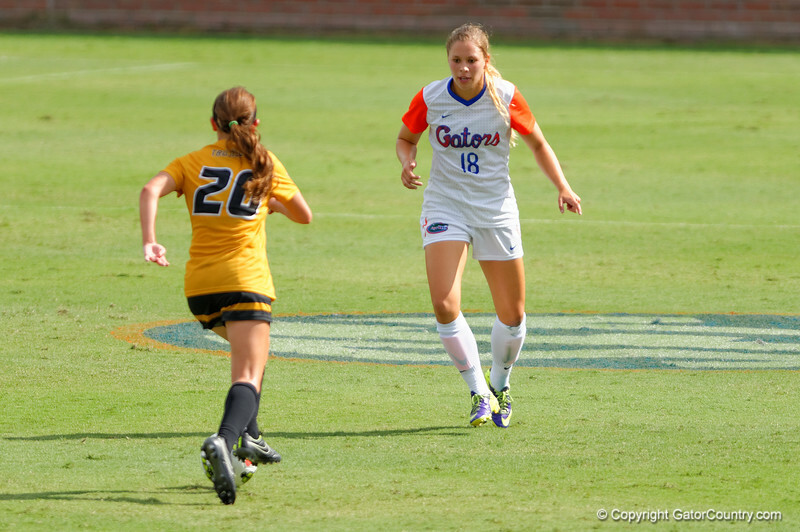 Florida Gators soccer forward Cassie Owens sprints backward to stay in front Mizzou midfielder Savanah Trujillo. Florida Gators Girls Soccer vs Missouri Tigers. September 28th, 2014. Gator Country photo by David Bowie.